THE NATURAL HAVEN: Ayurveda - Amla, coconut oil and fungus! Ayurveda - Amla, coconut oil and fungus! 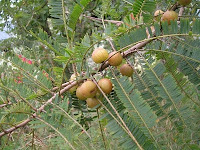 Amla is an edible berry found widely in India. It is a hugely popular ayurvedic ingredient perhaps because it can be eaten! 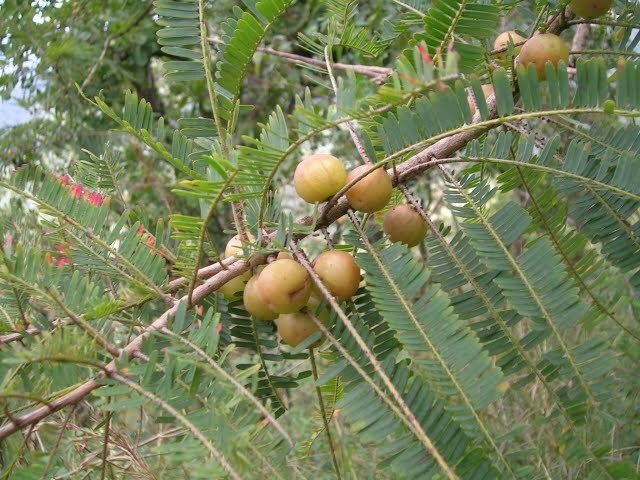 Amla as a fruit is rich in vitamin C and oil can be extracted from its seeds. Amla oil has recently been shown to be an effective antifungal killing several types of fungus. Interestingly the same study showed that coconut oil too has antifungal properties. In some cases amla oil outperformed coconut oil but in other cases coconut oil took the trophy. The authors theorise that fungal infections such as ringworm are relatively rare in India due to widespread use of these oils. (Mycoses, pp 363 - 369, 2009). I also found two suspect studies, I say suspect because the similarities between the two are striking including nearly identical results. In science, it is not the norm to find this, unique work is expected and if expanding a previous study then authors have to mention this. However, these papers indicate that amla when used in combination with other herbal oils such as brahmi and methi can promote hair growth similar to the hair loss drug minoxidil. (Journal of Chemical and Pharmaceutical Research, 2009, 1(1): 261-267 and E Journal of Chemistry Vol. 5, No. 1, pp. 34-38, January 2008). Have you tried Amla - Do you like it? Not declaring the mineral oil is not good! I have been using Amla oil and my hair loves it. I also passed it on to my mom (who has relaxed hair) who was experiencing breakage. She uses it in her weekly regimen and has noticed a significant change for the better. I just started using amla powder and I really love it. It seems to strengthen my hair and reduce frizz. I also use it with henna to tone down the red on my grays (otherwise they turn hot orange). I am really loving these posts JC! Yes I use amla oil and I really like it (the smell not so much). As a mather of fact a lot of my friends use it to make the hair thicker, and darker. I mix mine with Aubrey Organics and use it as an DT. Your article has sent me running back to Vatika oil, which has coconut oil, amla, and neem, along with some other herbs. My perpetually petulant scalp used to love this stuff, but I foolishly let it fall by the wayside. Thank you for bringing me back into the fold! i do not care for the dabur amla oil because of the mineral oil and color added. it's not natural enough for me to put on my scalp. i use the powdered amla and brahmi instead. I make a hot oil treatment by using a few teaspoons of each powder, add water to make a paste and then add coconut oil and olive oil to make a nice mixture. I add it to my hair and put on a plastic cap. i leave it on for a minimum of 1 hour and then shampoo. my hair seems to like it.